Russian designer Vadim Kibardin bothered about carpal tunnel syndrome (median nerve dysfunction / entrapment) that occurs with long-term use of computer mouse and developed the “BAT” – the levitating wireless computer mouse. It consists of a floating navigator and magnetic base ring. 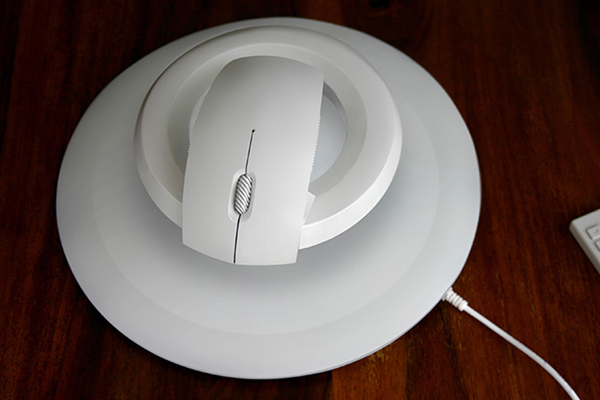 As any active computer users can be prone to this ailment, the system aims to eliminate numbness, tingling, weakness, or muscle damage in the hand and fingers caused from over exposure to a mouse by elevating the controls to an ergonomic position.